Disqus makes it easy for you to add color to content across 3 million websites around the world. And each day, your colorful contributions have the opportunity to be recognized by millions of others through comments, replies, upvotes and follows. Notifications on Disqus alert you about those events. Here’s a breakdown of what you’ll see, and we’ll be adding new types of notifications in the future. 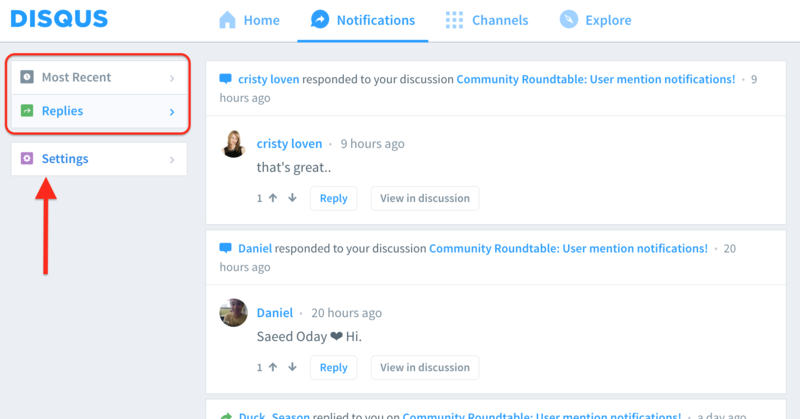 Provide us with your feedback on Discuss Disqus! What can I be notified about? Whenever another person replies to your comment. You can also reply directly inline without leaving the page. When other people upvote your comments. If there are more than 1, they’ll be grouped together. 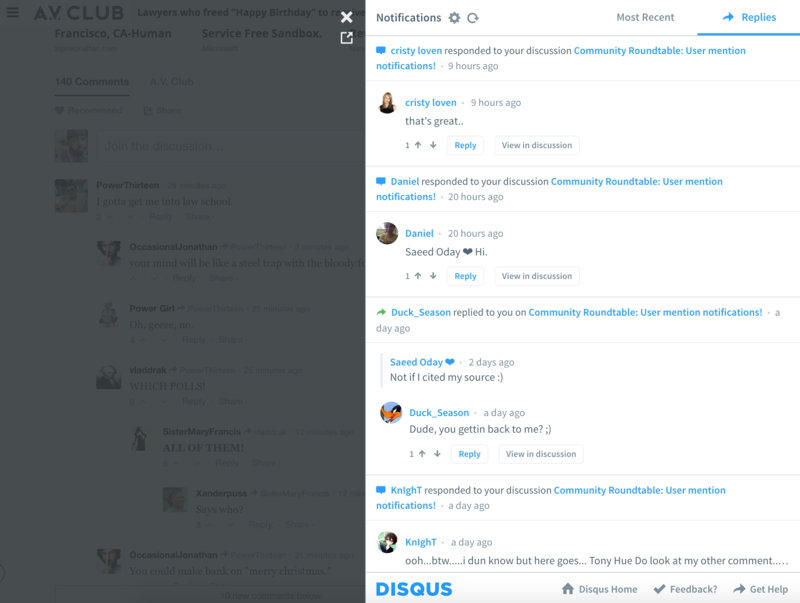 When other users on Disqus follow you, which means they can see what you comment on in their Home feed and email digests. If you would not like others to follow you, you can make your profile private in settings. Please note that when logged in, your profile will still show your comments. 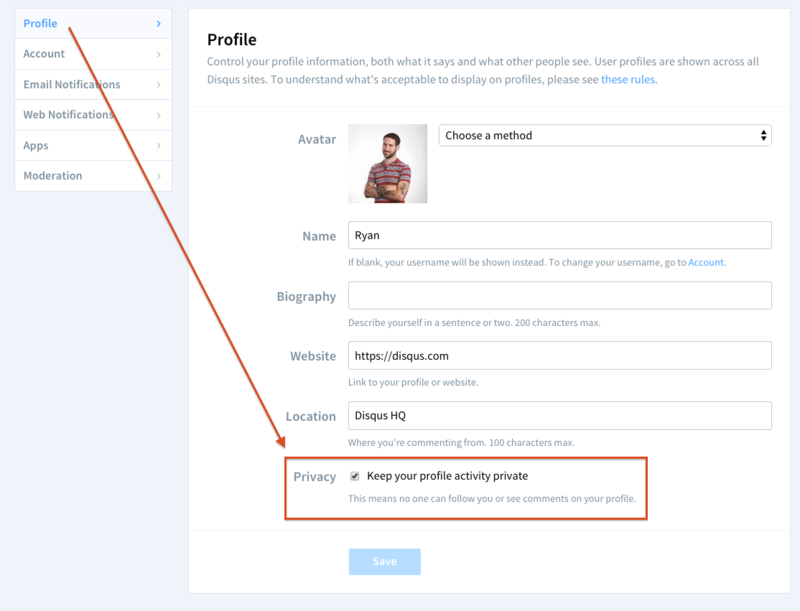 To check if the profile has been correctly set as private, try logging out and visiting your profile page. Or on the embed when you click on the notifications bubble on the top right. A sidebar will slide in from the right, right there on the page without you having to open a new window or tab. How do I filter the notifications I see in my Inbox? There are currently two Inbox views. 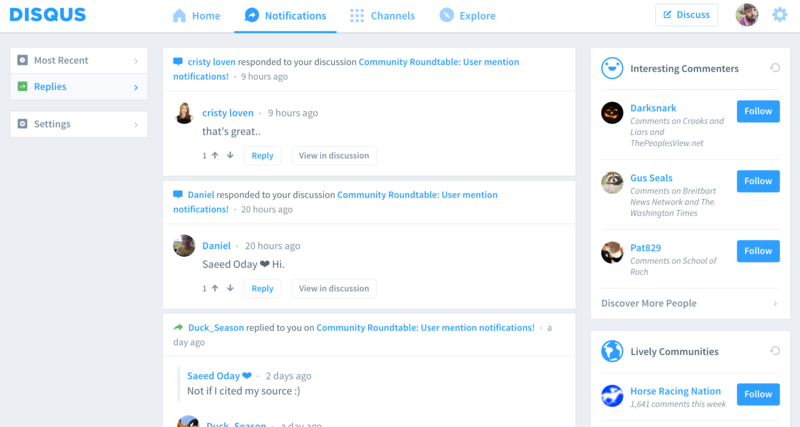 "Most Recent" includes replies, follower notifications, upvote notifications, and invitations to join discussions. You can filter out upvote notifications and discussion invitations from the "Most Recent" view by clicking the Inbox settings gear and checking the corresponding boxes. The "Replies" view includes just replies. I don’t see the sidebar notifications experience on the commenting embed. The sidebar experience is currently only on English sites that use Disqus, but we’ll be rolling it out to everyone soon. Love it or hate it, we want your feedback! For general observations or feedback, please let us know or come discuss it with us. For technical issues, please contact our Product Support team.